I mean, who doesn't like bunnies? 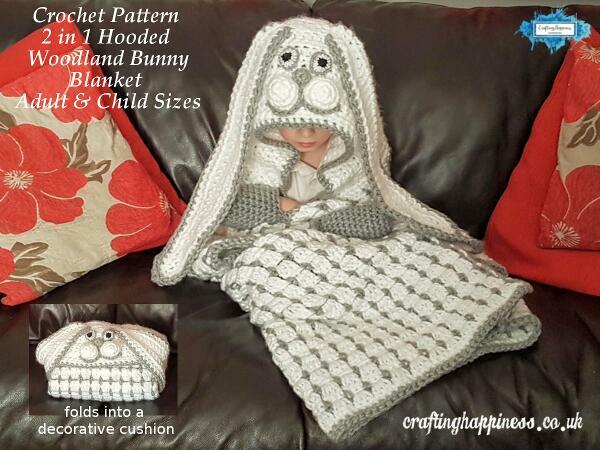 So just in time for Easter, I created the 2in1 hooded woodland bunny blanket for a little girl who absolutely loves rabbits, and now you can make your own too with this easy to follow crochet pattern. 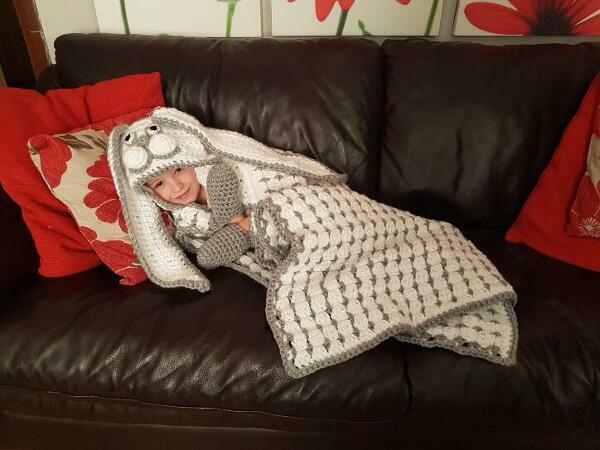 This beautiful 2 in 1 hooded woodland bunny blanket is also a decoration for your room. 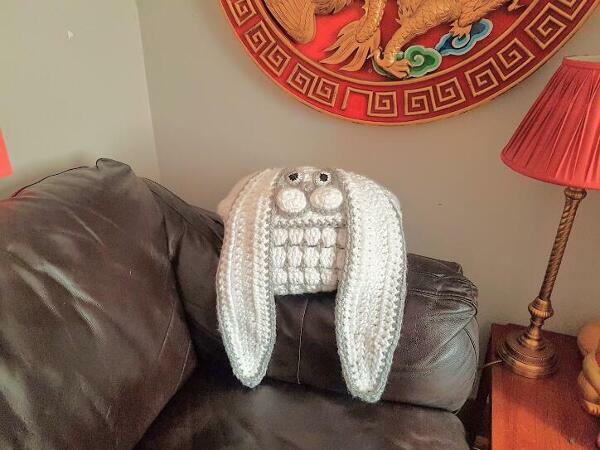 Use it to keep warm and snugly, and when you are done with it, fold it and display it on your sofa, bed or armchair. 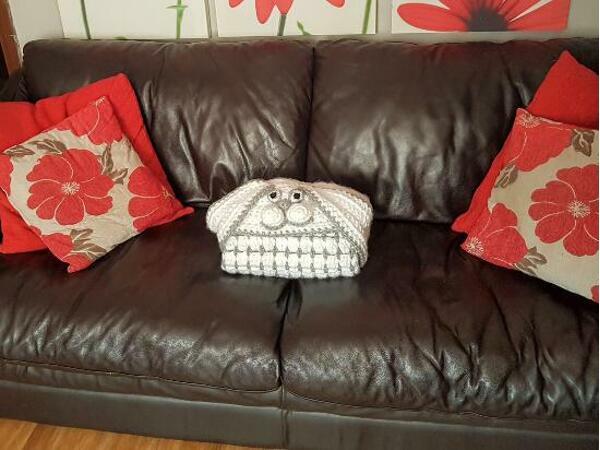 The blanket is suitable for girls or boys alike, it is crocheted in neutral colors, but you can customise it by choosing your own color palette. 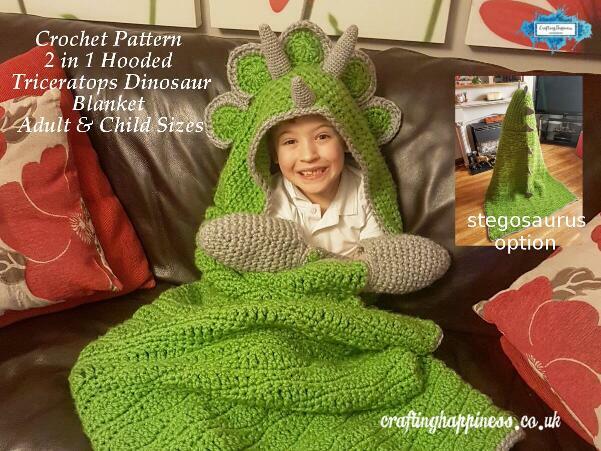 It is designed to be a full body blanket, the pattern includes child and adult size hood and mittens. 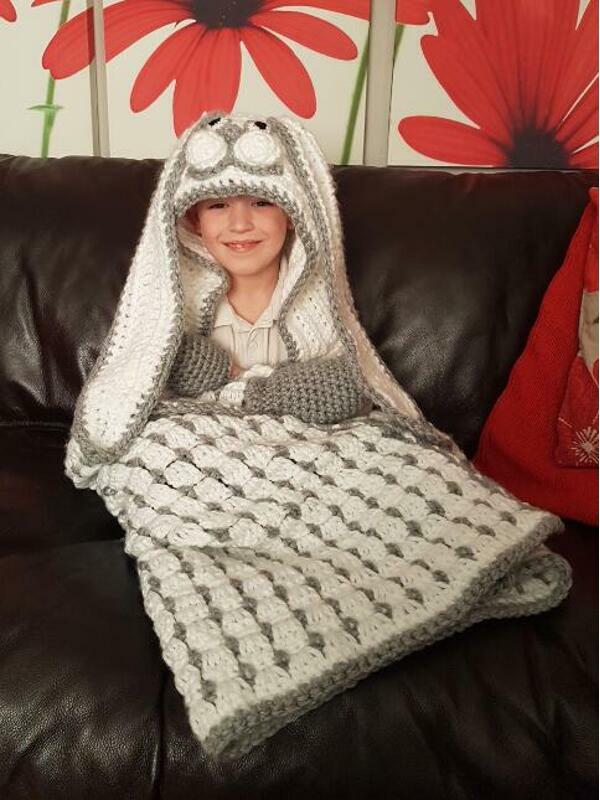 The actual blanket can also be customised to fit a child or an adult and the pattern is explained in a way that you can make it as big or small as you would like it to be. 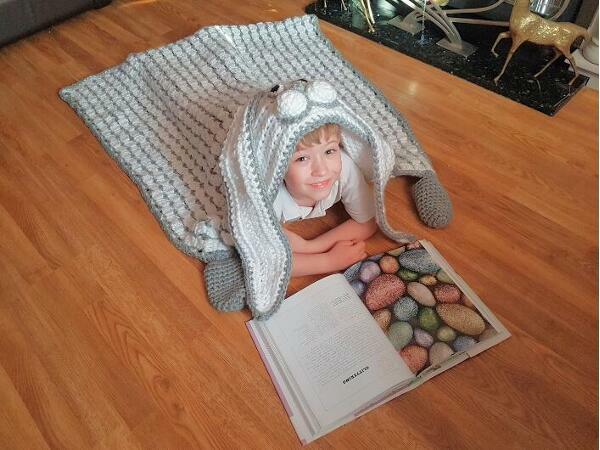 Made with super chunky (super bulky / #6) yarn, this blanket is warm and soft, and works up in no time. 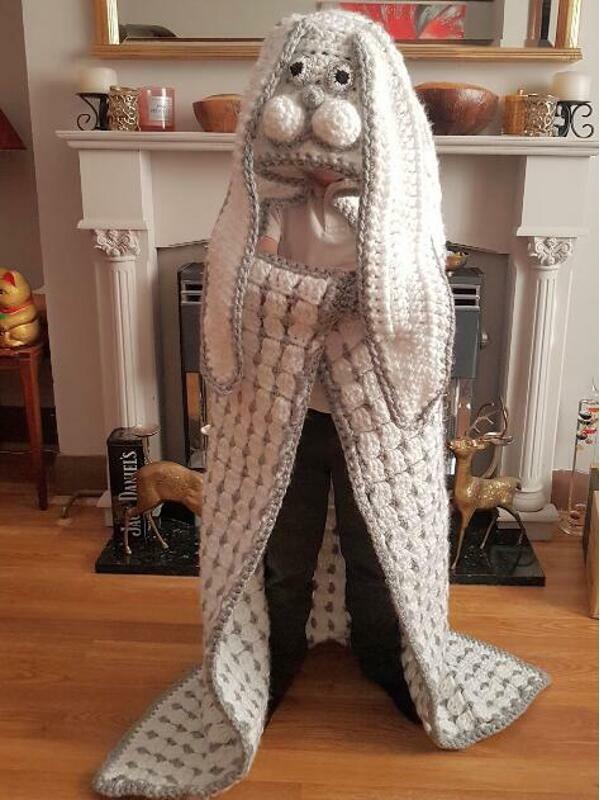 The pattern will create a blanket size 100cm by 100cm (39in by 39in). 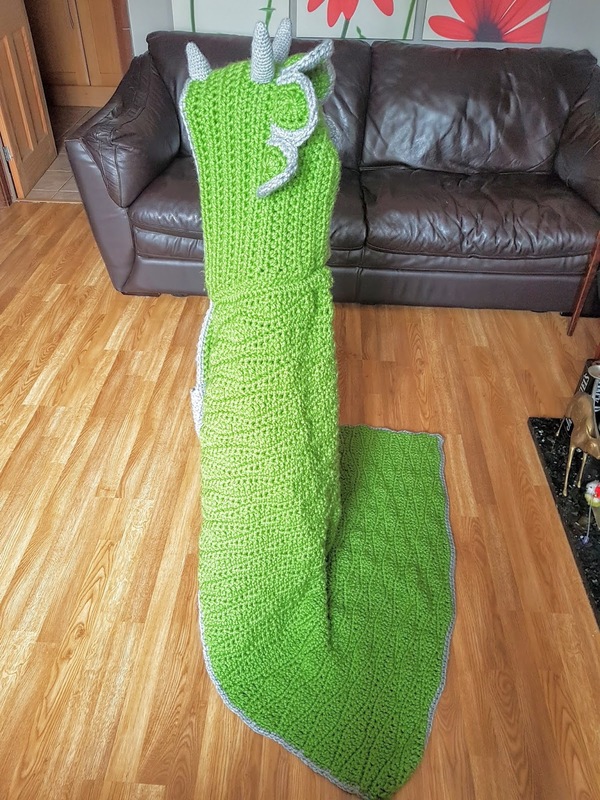 To customise the blanket, measure the distance from wrist to wrist (with the hands stretched) for the width and shoulder to floor for the length. 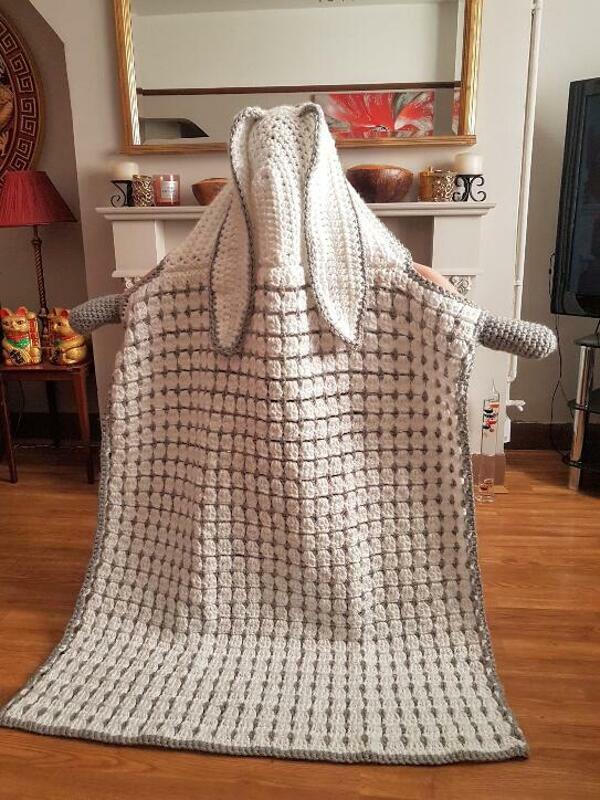 I have written a detailed step by step tutorial with photos, diagram and video on how to crochet the stitch used in this blanket HERE. 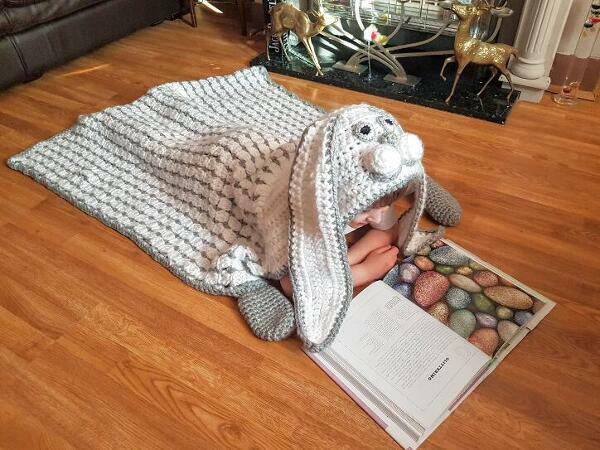 Looking for similar hooded blankets? 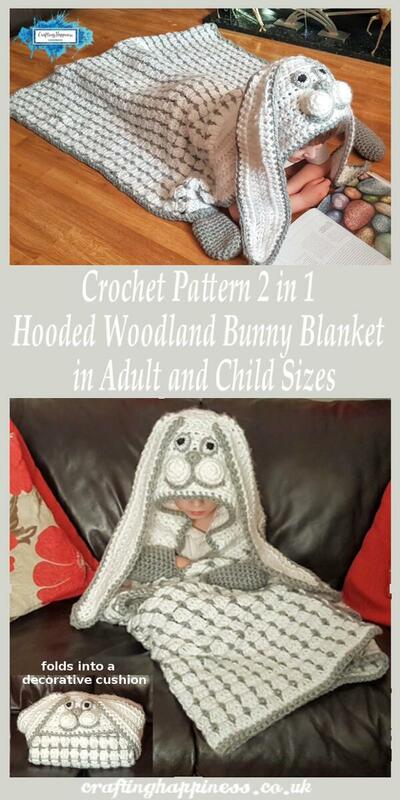 The Hooded Woodland Bunny Blanket pattern is available in my ETSY STORE and RAVELRY STORE only in a large print, inexpensive, printable PDF file, with lots of pictures and step by step tutorial on how to crochet yours. 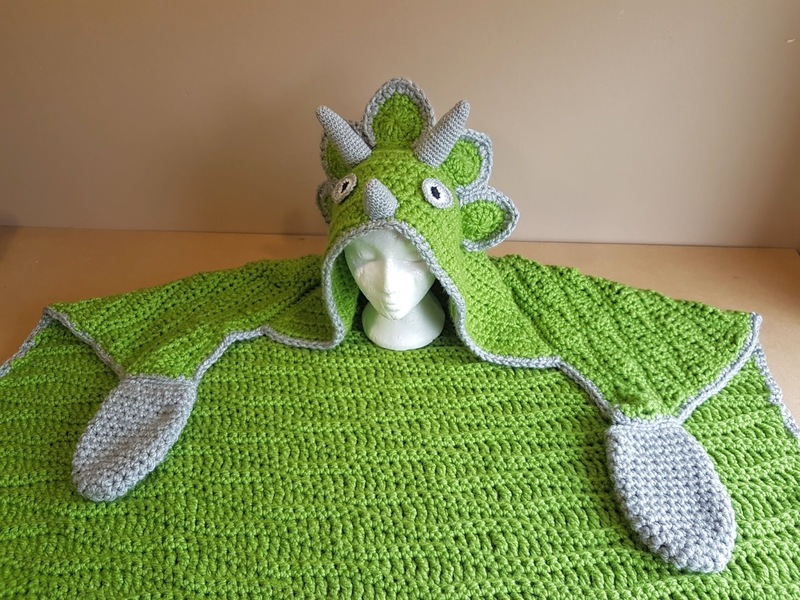 As this is a blanket made specifically for a child, I will list the rough sizes and quantities needed to make a standard blanket for an adult. 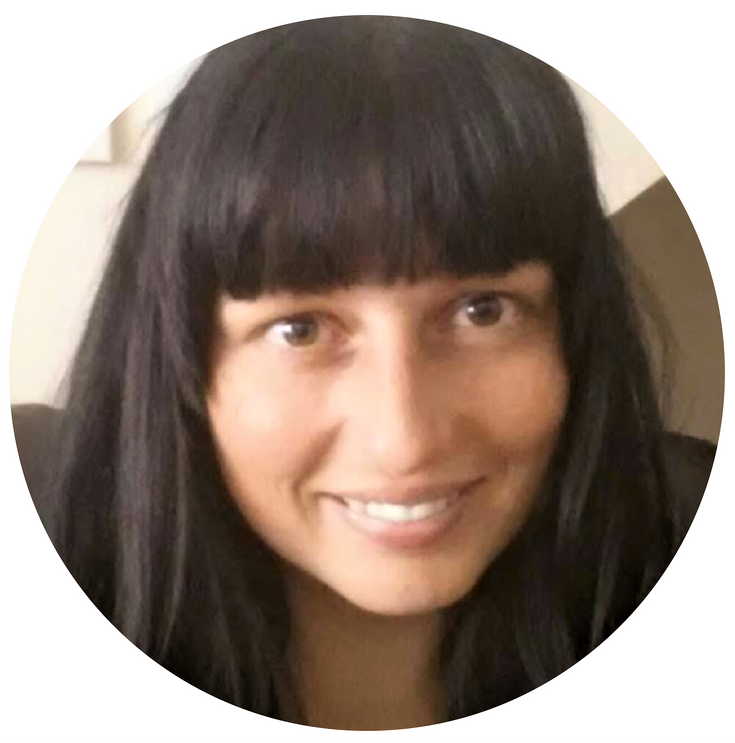 Hopefully this will help you decide how much yarn you will need for your project. 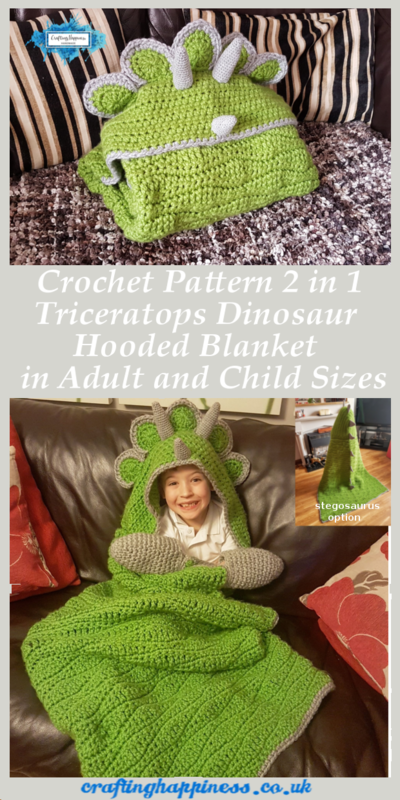 Grab your supplies and head over to my ETSY STORE and RAVELRY STORE for the large print, inexpensive PDF file with lots of pictures and step by step tutorial on how to crochet your own 2in1 hooded dinosaur blanket.